Does your eye colour influence cataracts? Cataracts can happen to anyone. In fact, 31% of Australians over 55 years old suffer from an untreated cataract. Did you know that you could be at higher risk of cataracts simply because of the colour of your eyes? How influential is your eye colour? People with dark brown eyes have the greatest risk of developing cataracts. 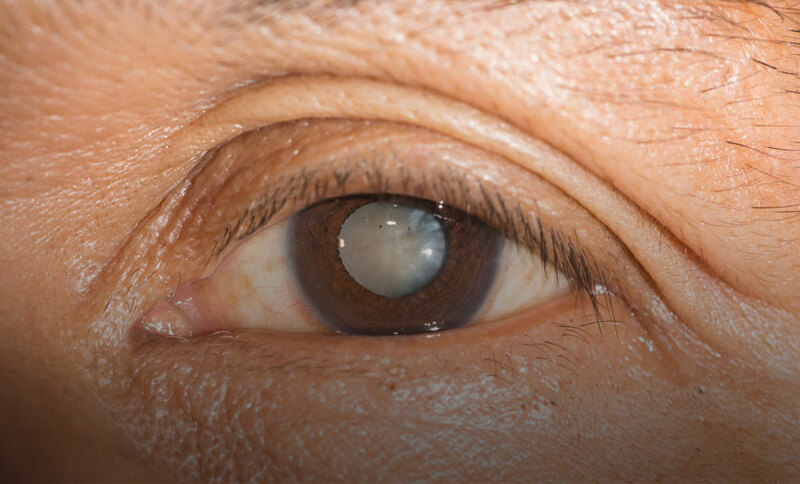 An Australian study found that the risks can be up to 2.5 times greater for certain types of cataracts. Researchers suspect the reason is similar to wearing a black shirt in the middle of summer. The dark colour absorbs more light and heats up the lens of the eye, eventually causing it to become cloudy after many years. If you have dark brown eyes, don’t panic – there are ways to help offset the increased risk. Even if your eyes aren’t dark brown, you should keep reading to discover how you and your family prevent cataracts in the future. UV exposure and smoking are two major risk factors for cataracts. By wearing UV protected sunglasses and a hat with a visor, plus quitting smoking, you can lessen the likelihood of developing cataracts. While still unclear, there are also mixed results that show including more antioxidants in your diet could help reduce the risk of cataracts. If your eyesight is deteriorating, becoming more sensitive to light, intolerant to glare or the dulling of colours, you should visit your optometrist or GP. Most people who need treatment are over 60 years old, although cataracts can occur at a younger age as well. Cataract surgery is a straightforward procedure that provides good results 98% of the time, assuming that your eyes that are otherwise healthy. Technology continues to advance quickly making surgery safer and more effective than ever before. If you are having cataract surgery, it will most likely be performed in a day surgery. The anesthetist will ensure that you are relaxed before the surgery. The surgeon then removes your cloudy lens and replaces it with a clear artificial lens that will remain there permanently. Once in place, you won’t be able to feel the lens and it’s likely to stay there safely for the rest of your life. Hopefully you can delay your cataracts as long as possible by taking care of your eyes, especially if you have dark brown eyes. Just make sure you wear UV protected sunglasses, a hat and quit smoking.